On July 1, 2012 I mixed sound for a special concert at the band shell at Pennoyer Park in Kenosha, Wisconsin. 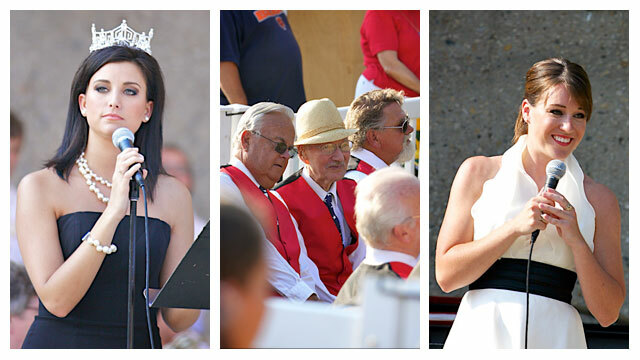 The summer concert included music from the Kenosha Pops Concert Band, Ashley Dennis (Miss Kenosha 2001), and reigning Miss America Laura Kaeppeler. Laura and the band also performed “What I Did for Love” from the musical “A Chorus Line”, “But Not for Me” from the musical “Girl Crazy”, “Someone to Watch Over Me” from the musical “Oh Kay”, “All the Things You Are” from the musical “Very Warm for May”, and the patriotic “God Bless America”. The Kenosha Pops Band played a few extra tunes including one of my favorites by Earth, Wind and Fire, “September” and “Come Fly with Me” made famous by Frank Sinatra. I also took a bunch of pictures, click the image below to see.